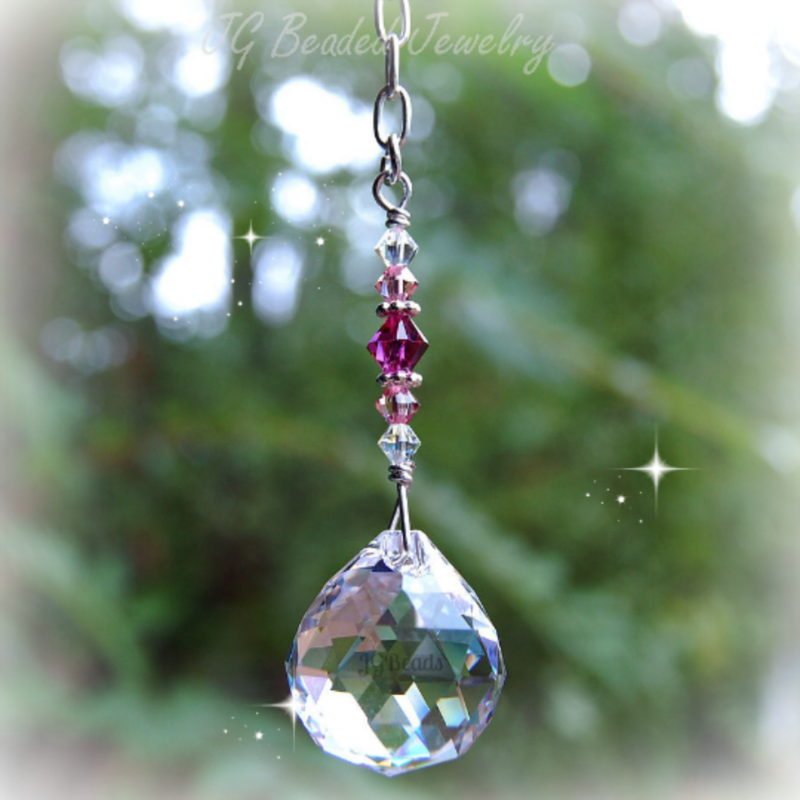 Pink crystal decor for the rearview, light/fan or window! This pink crystal decoration is a lovely sized suncatcher for the rearview mirror, as a light/fan pull or even to hang in a window to catch the light and throw off rainbows! 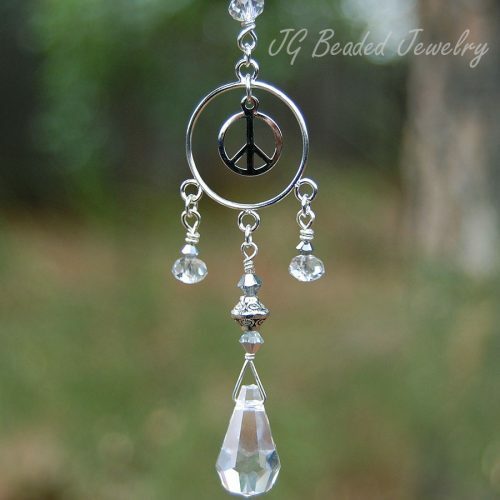 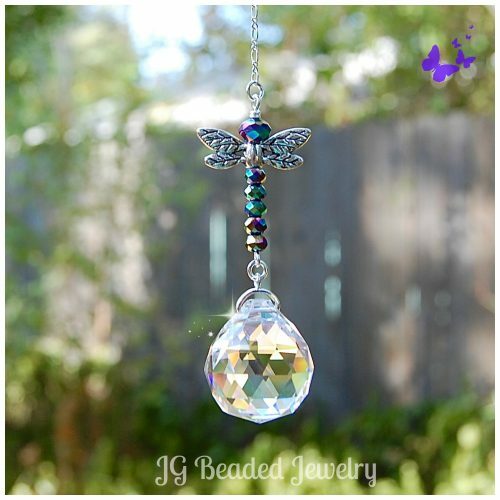 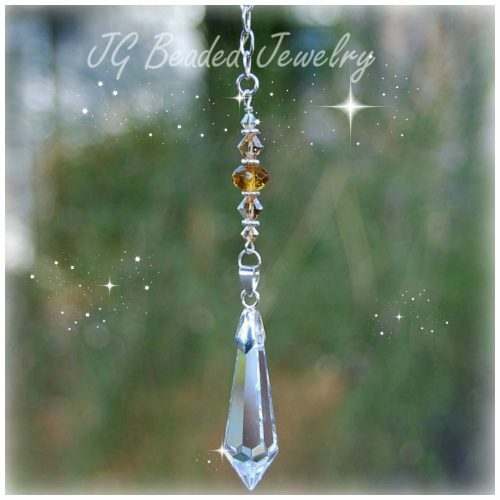 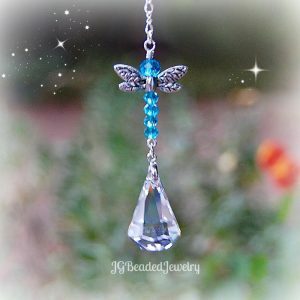 The suncatcher is handcrafted and wire wrapped for strength with a 20mm clear prism crystal . 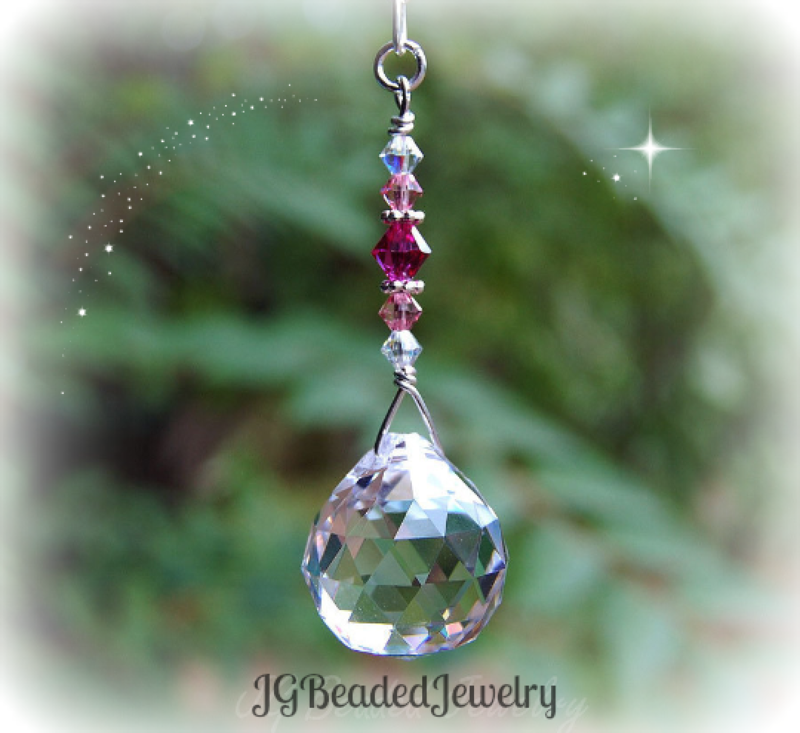 It is embellished with gorgeous light pink, hot pink and iridescent precision cut Swarovski crystals along with silver metal accent beads.